Happy New Year darling readers. I hope you all had wonderful celebrations with pink fizz bubbles and sparkly dresses. I had the best New Years Eve yet! 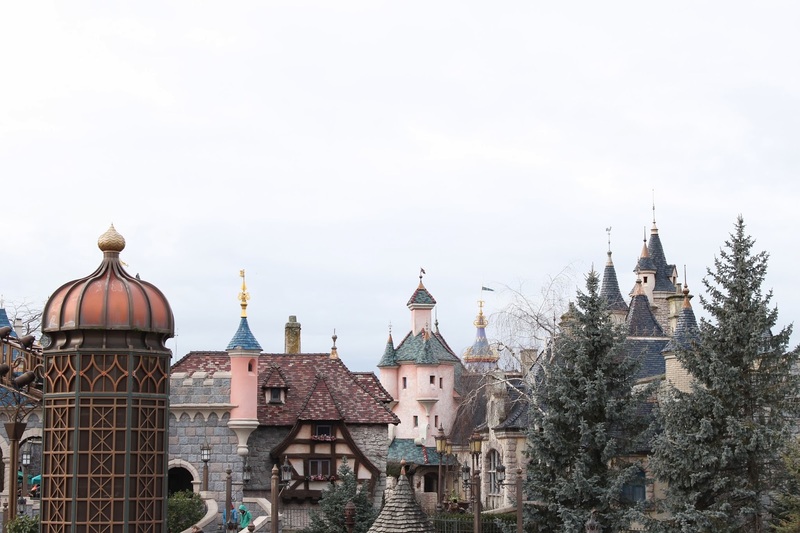 I spent it skipping down Main Street USA to cheesy parade music and sipping hot chocolates and gazing up at the beautiful pink towers of the Sleeping Beauty Castle in Paris. It was the most magical day ever. 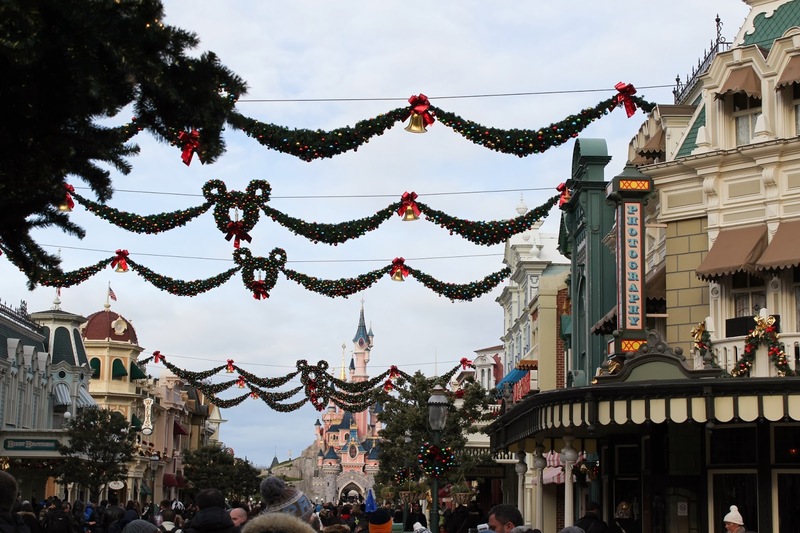 Disneyland was wonderfully Christmassy and the paths were lined with stunning decorations. 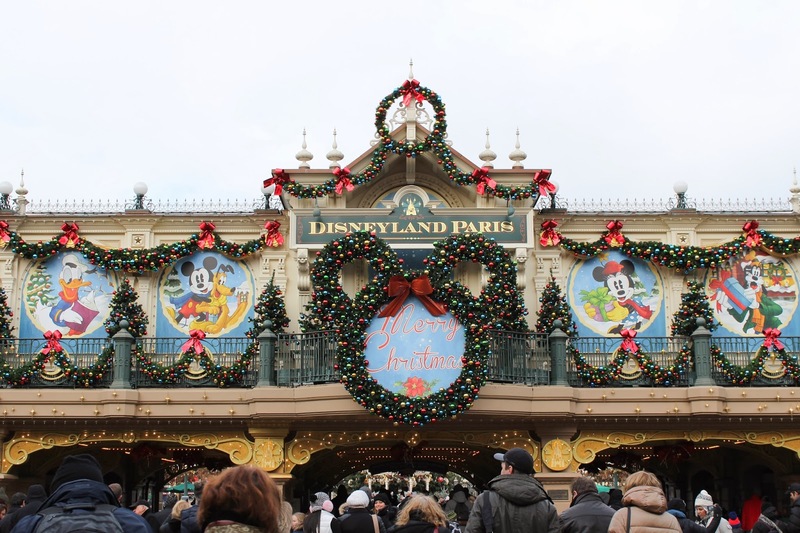 Sparkles, baubles, golden ribbons, pixie dust, a gigantic Christmas tree and even fake snow. It was truly magical. It shifted my Post-Christmas-blues away in a matter of seconds. I was so happy to test out my new camera too, with ALOT of help from my darling Sebastian of course (Thank you! I will pay with chocolate coins and kisses!). What a perfect setting to play with. So many beautiful things to capture. 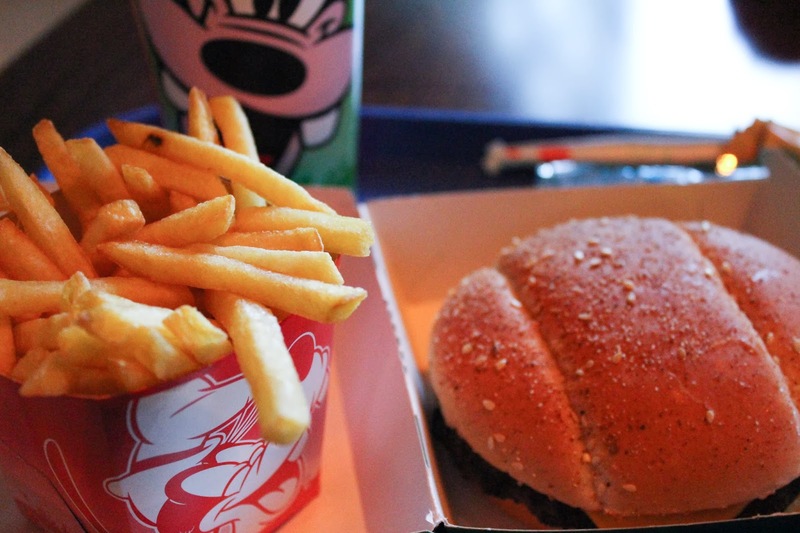 I think Walt's imagination must have been truly perfect. Do you agree? 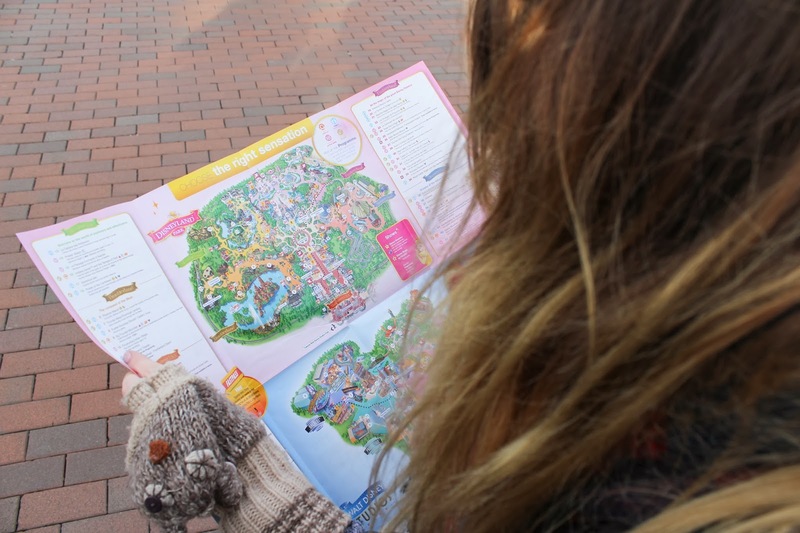 Sebastian and I spent the whole day wandering the paths of the magical land of Disney in awe (or at least I did! 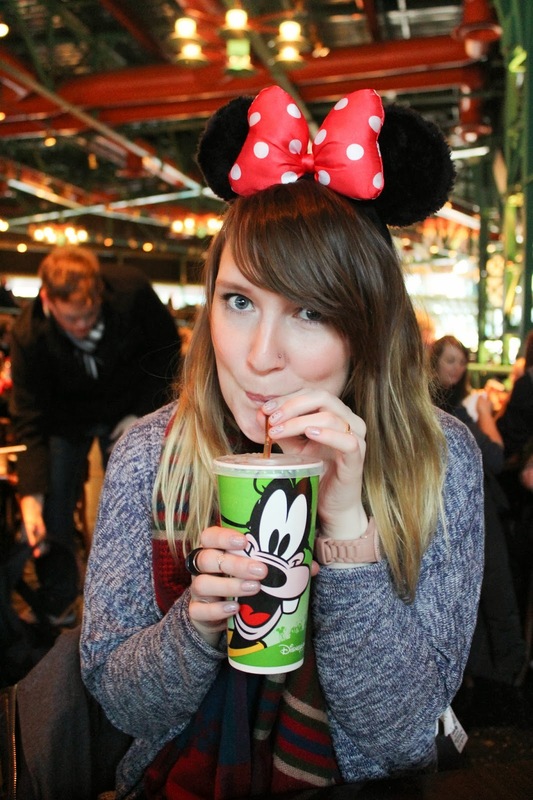 ), we ate naughty foods and sipped hot drinks to warm our insides, we queued for ages to get on rides and screamed and giggled, we wore Minnie Mouse ears all day (or at least I did! ), we had an amazing time. I felt so happy that day. Whether it was the Parisien air, the huge candyfloss coloured towers of the castle with glittering rooftops at night, the wonderful parade music, Mad-Hatter's tea cups, the overall festive feel, my new headpiece or getting to share all this with my Prince.. it was just such a wonderful feeling. If only it could be like this everyday. I have always thought New Years resolutions are somewhat silly. Why should a new year be a reason to change for the better? But I guess on paper it seems like a good excuse for a new start... and I too have decided to make some resolutions of my own. After such a wonderful trip of just pure happiness I want it to stay that way! So my resolutions are; to believe in myself. Be more creative. Be more motivated. Say yes more. Pay more attention to the ones that want to be around me and less to the ones that don't. Oh and to open my Etsy shop again and fill it with new pretties that I have been working on! Do you have any resolutions? What are they? How did you spend your NYE? Absolutely gorgeous, this looks so pretty. 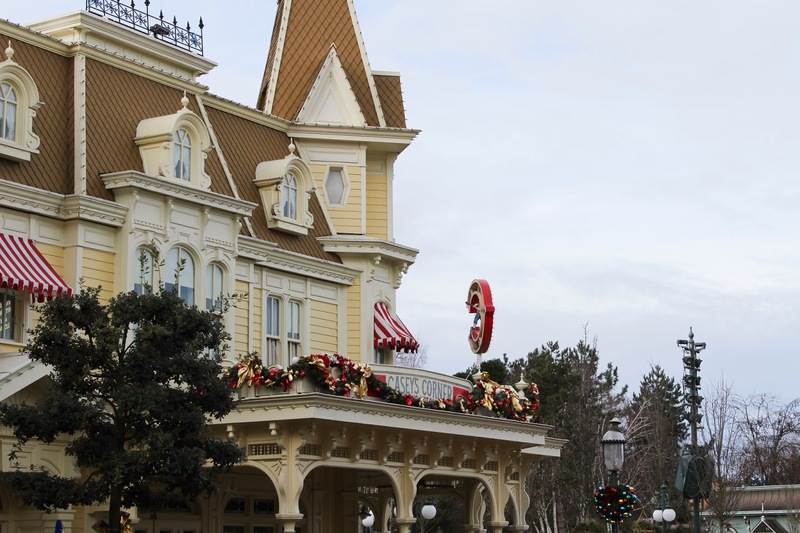 These photos are amazing, it make me really, really, realllyy want to go to Disneyland! Hope you had a great time! I also can't wait to see the things you've been working on for your Etsy shop - your blog is so cute so I bet they are too! My dad went to America on a business trip when I was 4 or 5, and he came back with Micky Mouse ears for me and my brother. I always believed that he never actually did any work, just spent 2 weeks at Disneyland. When he got his photos developed I excited went through them expecting them to be of Disneyland but imagine my disappointment when they were all of train and train parts. 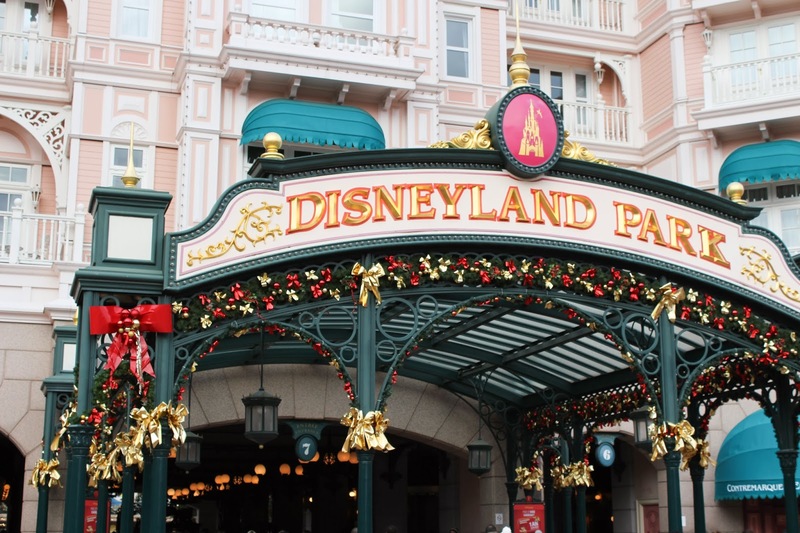 Disneyland still holds a special place of wonder for me and I really want to go there someday. Your new years just looks incredible. 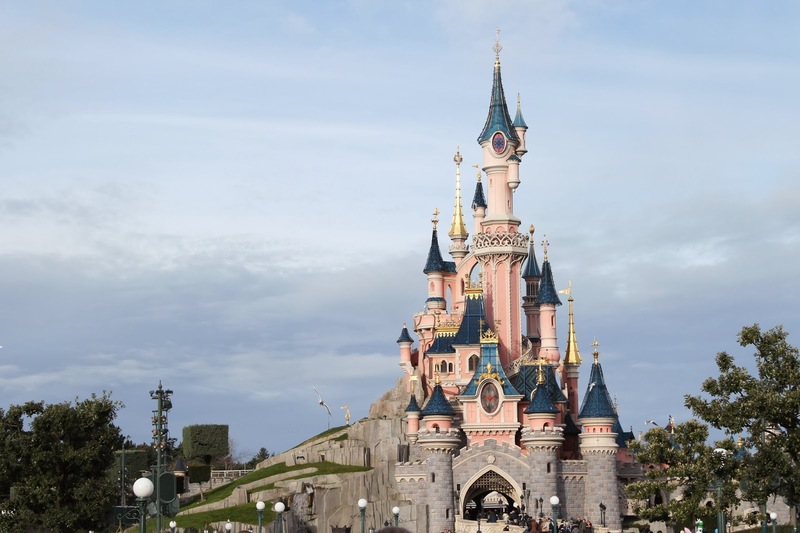 ahh i've always wanted to go to disneyland paris, it looks amazing! 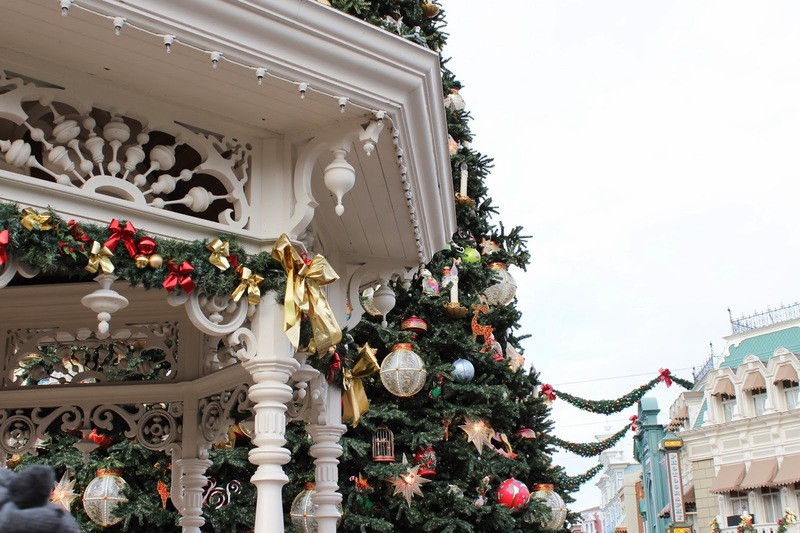 We spent christmas and new year 2012 in disneyland & celebration, Florida - can't wait to go back! Paris looks identical - and 7 hours less flying!